February is the time of year when we think about taking care of issues relating to the heart. Valentine’s Day represents the celebration of love – a time to reflect upon a cherished relationship. Please remember to also treat yourself with love and respect and take care of your heart. First of all, see your doctor to determine your current level of health. Get a simple physical and blood test done and find out what your levels of cholesterol are, your resting heart rate, your blood pressure, your weight, and body fat ratio. Ask your doctor if you are healthy enough to participate in a simple walking routine – most people are. Visit your local fitness center and seek the assistance of a qualified personal trainer to get started on a safe exercise routine, one that is suited to you. Make exercise a regular part of your life. Find activities that you love such as walking, hiking, biking, bowling, dancing, skating, tennis, golfing, swimming…whatever your enjoy and make an effort to participate on a regular basis. So – get moving in whatever ways you can. Move whatever parts of your body you can on a daily basis. Circulation is really important. Next, be sure you are choosing healthier foods each day. When you choose foods today that are of better quality than whatever you ate yesterday, it will help your body make the turn towards wellness. Go slowly, just take one new food per week and add that to your life. If you have never eaten Swiss Chard for instance try chopping it finely into your regular salad mix, or steam it after chopping and add it to soups or stews. Eat a fruit you have never had before. Just taste a piece; feed yourself like you would a baby and add just one new food at a time. Keep a chart of your food intake; take note of how you feel. Drink purified water in small increments throughout your day. When you drink water at room temperature it is better for your body, unless you have really gotten yourself into an overheated state due to extreme outdoor rising temps. Include electrolytes in your water especially if you have been perspiring or have just finished a workout. Your heart and cardiovascular system in general needs the right mix of vitamins, amino acids and minerals to stay healthy. Remember that your heart is a muscle and you must maintain it just as you would any other important muscle that has a job to do. Just so happens that this muscle – the heart – is the most important in the body. To be certain that your heart gets what is needed to stay healthy consider taking digestive enzymes every day. One of the very best insurance measures we can add to our health regime is digestive enzymes; especially protease, lipase and amylase. Protease will help the tissues stay healthier because it aids the digestion and assimilation of amino acids which are the protein building blocks, the particles that help construct tissues of the body. Proteases also do something else that is critical to health and that is to keep the arteries clear of plaque. Lipase is also important because it keeps fat levels in check and will help your body breakdown fat in the foods that you eat. Eat smaller amounts of food at each meal so that you reach your optimal weight. You may not realize this but research has proven that those who suffer with excess weight issues generally do not have adequate enzymes available. You see, as we age the production of enzymes begins to drop. Enzyme production is also lessened during times of illness or injury, yet the need for enzymes rises during those times. So consider taking a 100% plant based enzyme such as award winning AbsorbAid® to insure that your body is getting the very most from the foods that you consume. Then think about eating foods that are rich in fiber. 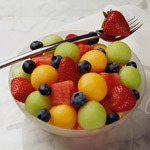 Fruits and vegetables and whole grains, seeds and nuts. If for some reason you are unable to get adequate fiber from your diet each day, try adding an invisible fiber to your diet – easily found in any health food store and many drug stores and even grocery stores today. You may also want to include another important element to support your health and cardiovascular health – something like essential fatty acids from foods such as Flax seed meal and Flax Oil, virgin olive oil and avocadoes. Educate yourself about healthier eating. Next get enough sleep each night so that your body has enough time to repair itself. As part of a good healthy heart routine be sure to take good care of your teeth and your gums and your tongue by brushing and flossing and rinsing each morning and evening. Be sure to give and to get hugs each week. Some doctors recommend getting a pet if you find yourself lonesome. Pets tend to keep us laughing and smiling easily. And laughter is great medicine so watch funny TV programs rather than the news if you are feeling down, chat with people who make you feel happy and read books that are uplifting often. Eat foods that are rich in anti-oxidants to slow the aging process and protect your cells from damage. That means look for colorful foods; those that are deep purple, blue, red, orange and green…that’s the sign that they have more antioxidants. You are now “heart smart” – have a wonderful Heart Healthy Month! Serve warm with real maple syrup. Copyright © Morganton Natural Foods. All rights reserved.